This is another sing-along evening with the Polish Choir Vivat Musica from Seattle. An evening of popular and merry Polish songs should go nicely with wine and snacks. 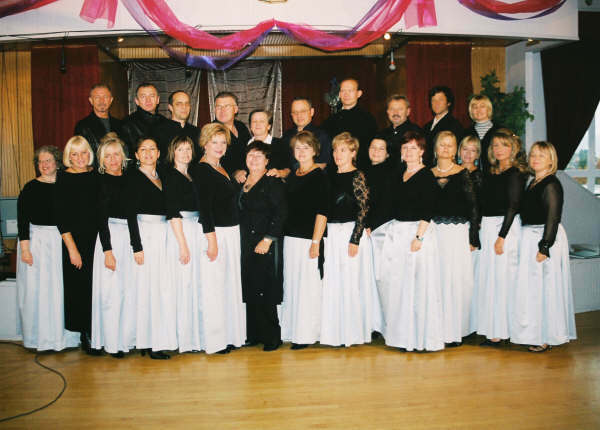 This event was sold out completely ahead of time in Seattle in October, so make your reservations The evening is a fundraiser for the Choir to go to the Polonia Choir Festival in Koszalin, Poland, in 2006. Salon Poezji (the Salon of Poetry in Seattle) invites to a woman poetry program Nic dwa razy (Nothing Twice). The program features poems by Polish, Russian, Czech and English poetesses such as W. Szymborska, A. Osiecka, A. Akhmatowa, M. Tsvetaeva, V. Dvorackova, E. Bishop and others. All poems are recited or sung in the language of the original. Music for the evening will be provided by Marzanna Bachowska (vocals) and Scott Babcock (trombone). The Polish Ballroom Dance Group from the Polish Home will add a special carnival mood to the gathering. Ich Troje is a very popular music band from Poland, currently scheduled to represent Poland in the 2006 Eurovision competition. One local fan says their songs have nice and catchy melodies appealing both to younger and older generation and that their concerts are always great shows. Michal Wisniewski, Jacek Lagwa & Ania Swiatczak come to Seattle with a show cast of 18! Sounds like a perfect ticket for our local Polonia! Bonus: it’s organized both by the Society for Polish Culture (TMKP) and the Polish Home Association! The Polish Choir Vivat Musica from Seattle goes to Oregon with the very successful Biesiada singing-along party. Good food, wine and merry songs are the recipe for the evening. If you want to attend and cannot go to Tacoma next week, it’s worth the long drive! This concert features the winners of the 4rd Northwest Chopin Festival from the week earlier. As usual, the best young artists from our state are expected to deliver great performances. Refreshments will be provided. Organized by the Northwest Council of the Chopin Foundation and supported by Sherman Clay with all proceeds going to the Foundation’s Scholarship Fund for young pianists. 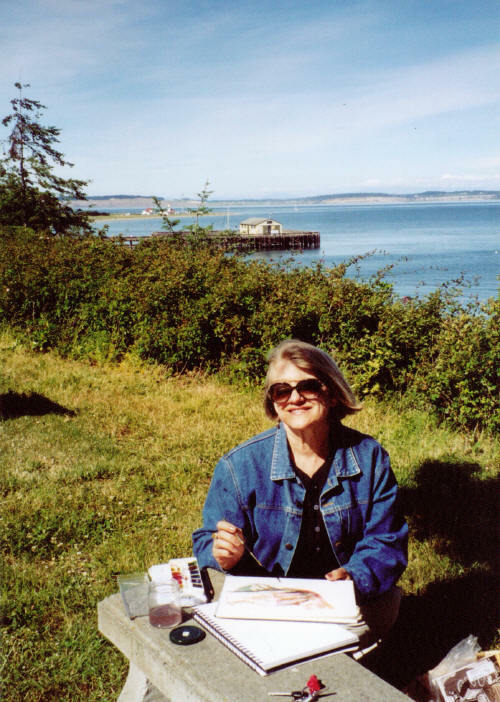 Teresa Malinowski is a local painter active in Seattle. Check out her Green Lake and Beyond! Her art is currently on display at the BalMar Coctail Lounge that is part of the Ballard’s Art Walk. The BalMar is open for the Art Walk from 6 to 10 pm. Polish Home Fundraising Committee invites everybody interested in the PH expansion project to its monthly meeting at the Polish Home. Agenda: closing on the project review, updates to the brochure, parking and fence planning. All interested in the details of the project as well as volunteers are welcome! Where: at the Polish Home, just drop by; refreshments are provided! Mr. Kaczmarek is an internationally renowned composer who won the 2005 Oscar in the music score category for his music to the movie Finding Neverland by Marc Foster starring Johnny Depp. His other movies include Total Eclipse, Bliss, Quo Vadis?, Washington Square and Unfaithful. He also works with theater and new media, notably through Instytut Rozbitek, an European center he set up in Poland. His lecture at the University of Washington, Music without Borders, is organized by the UW Polish Studies Endowment Committee. This year 75 best young pianists from the state of Washington take part in the Festival. This celebration of Chopin’s music is also a competition; the winners in age categories will be announced after 4 pm. The very successful Festival is the renewed focus of the NW Council of the Chopin Foundation, its main organizer. The prize winner concert is on Feb 11, 2006, at the Polish Home.